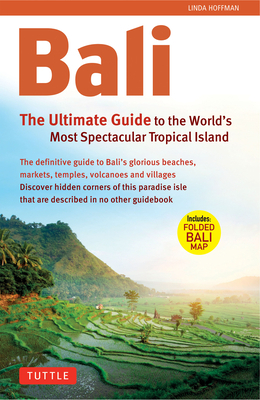 Bali: The Ultimate Guide to the World's Most Famous Island is the most complete guide to Bali ever published. Lively articles by world-renowned experts present every aspect of the island's history and culture, along with detailed descriptions of all the sights, with maps and photos included. An informative travel reference section at the end of the book gives essential travel and etiquette tips, transportation notes, a language primer, and a glossary. American-born Linda Hoffman moved to Indonesia in 1989. After arriving, she immediately strapped on a backpack and began exploring. Her career as a freelance travel writer, tour leader and guest lecturer for study groups has repeatedly taken her to many of Indonesia's most far-flung locations where she has had many amazing experiences. Based in Yogyakarta for the last ten years, she is always ready for the next adventure. Linda has also authored the Tuttle Travel Pack Indonesia, also available from Tuttle Publishing.